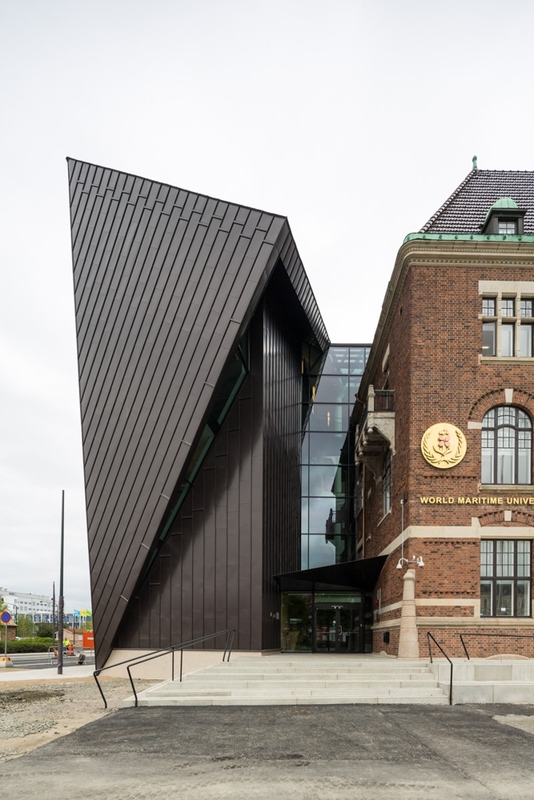 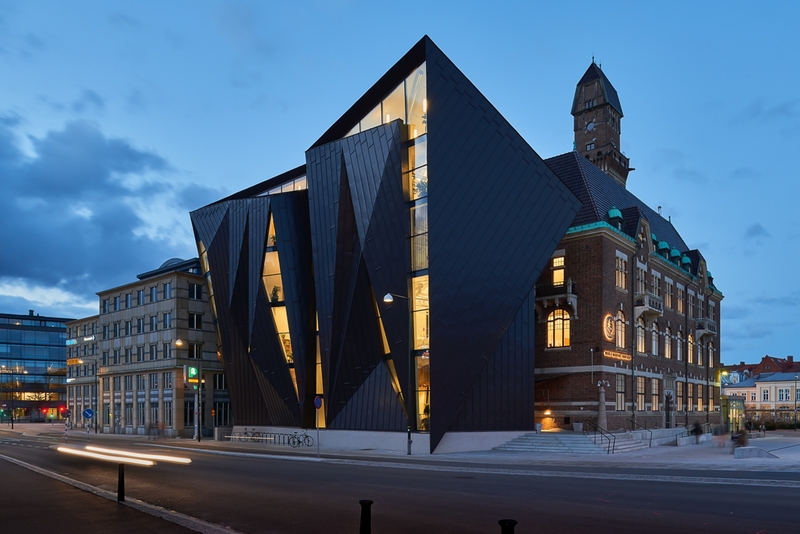 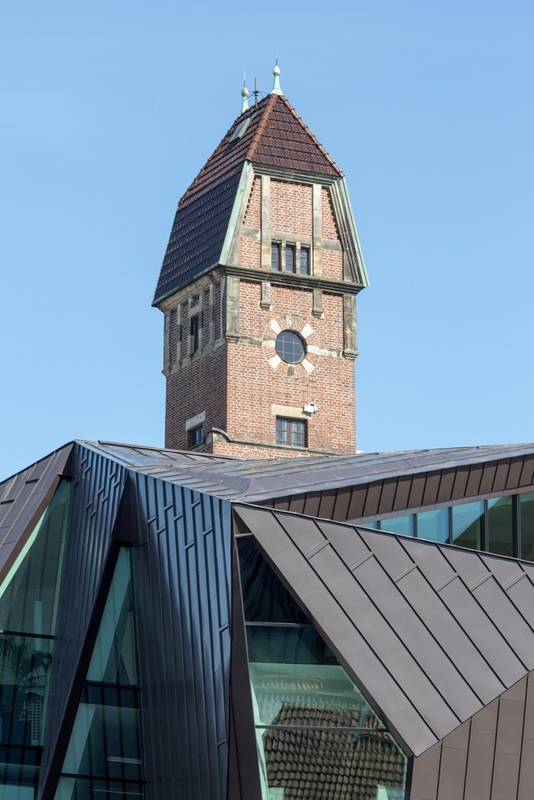 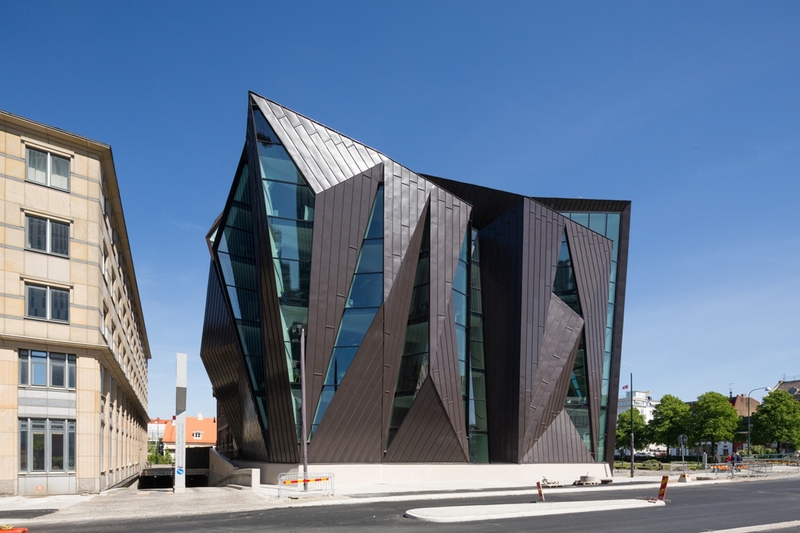 The United Nations affiliated World Maritime University (WMU) in Malmo, Sweden has been completed. 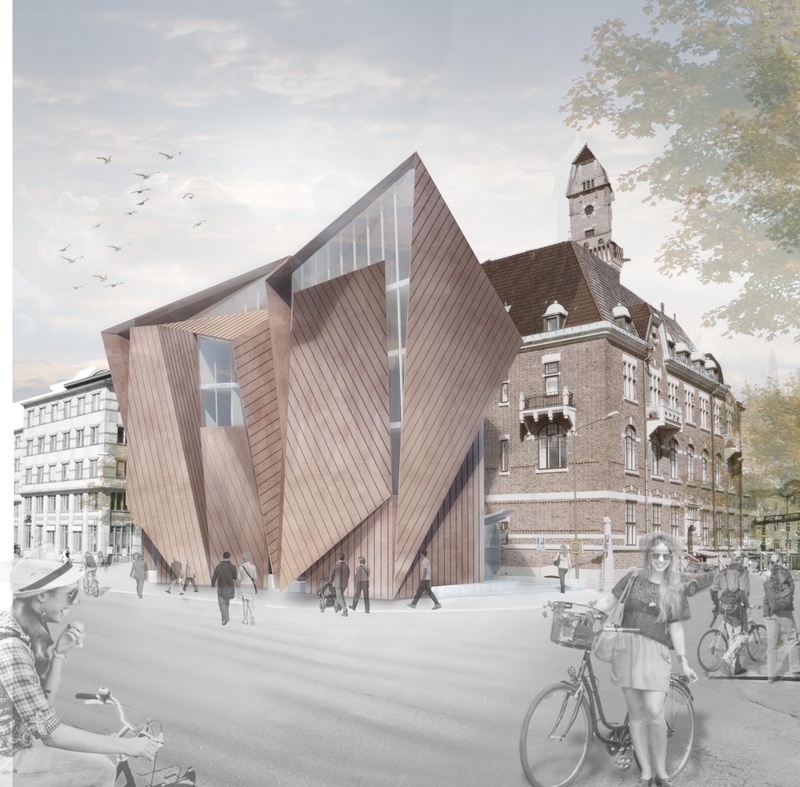 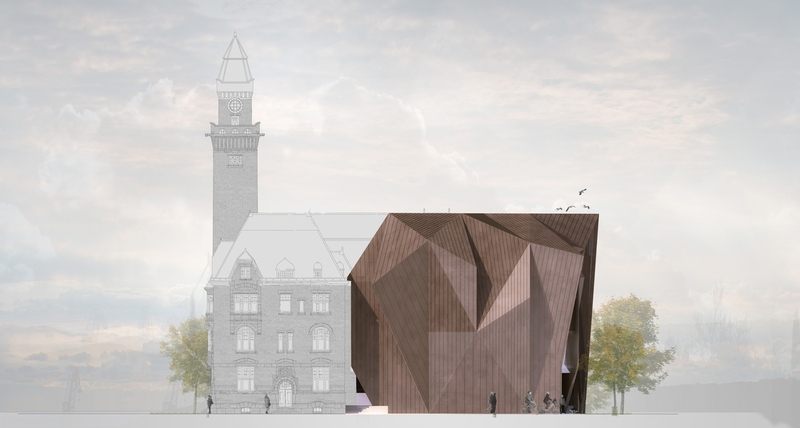 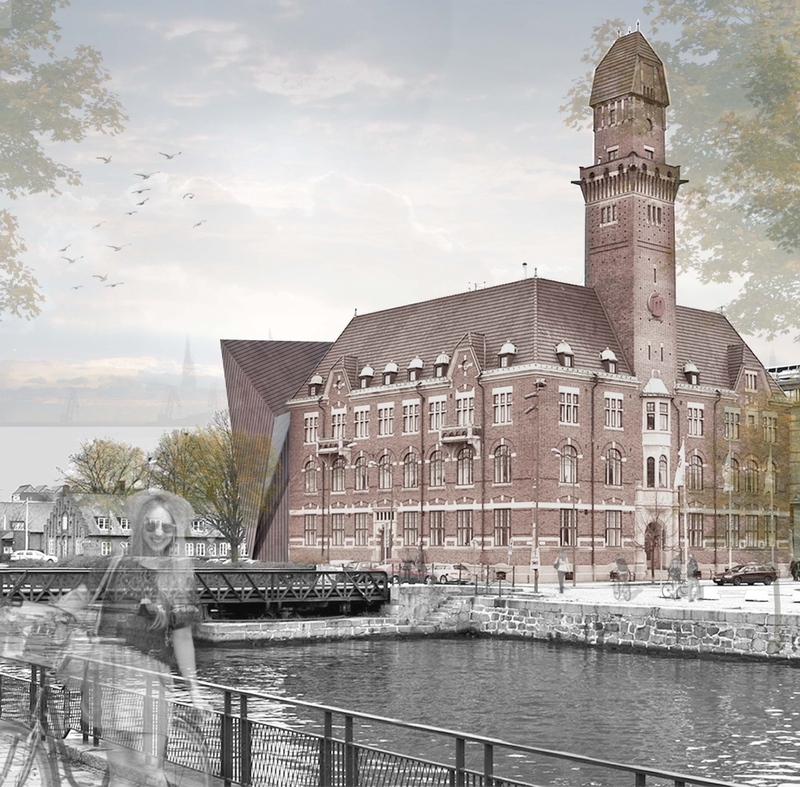 In collaboration with Kim Utzon Arkitekter we won the project in 2011 after a 3-stage international competition. 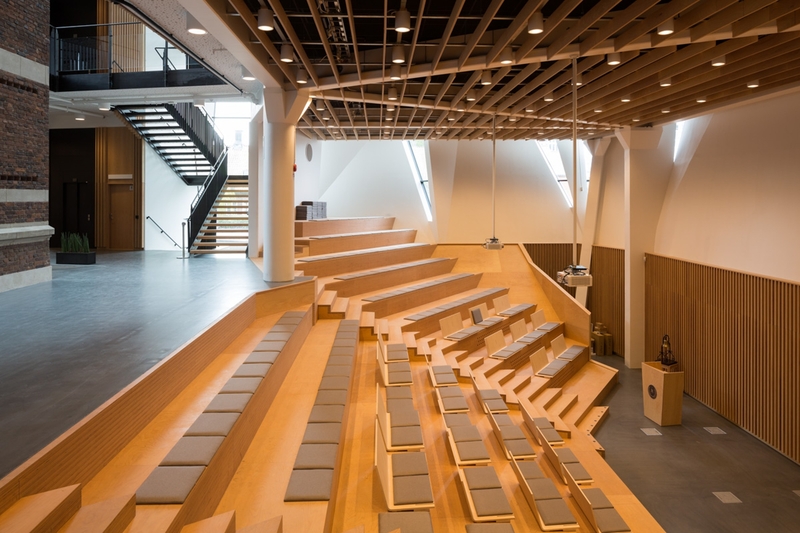 This collaboration continued throughout all stages of the project to completion. 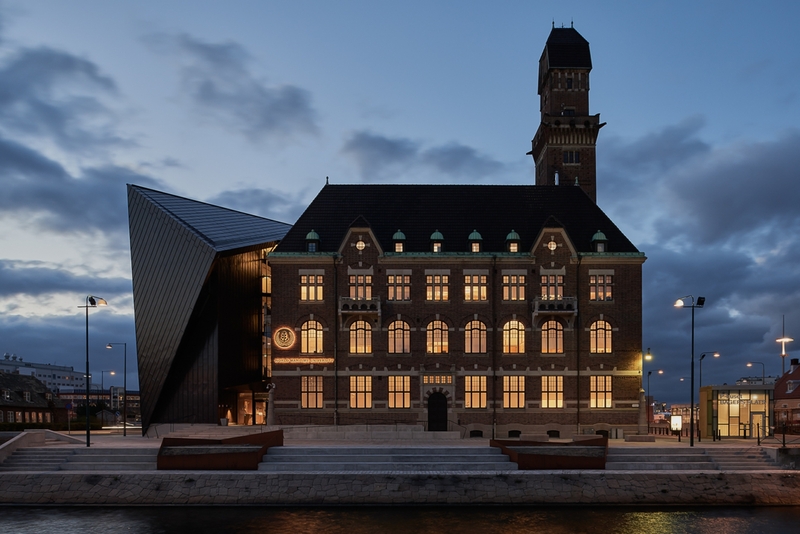 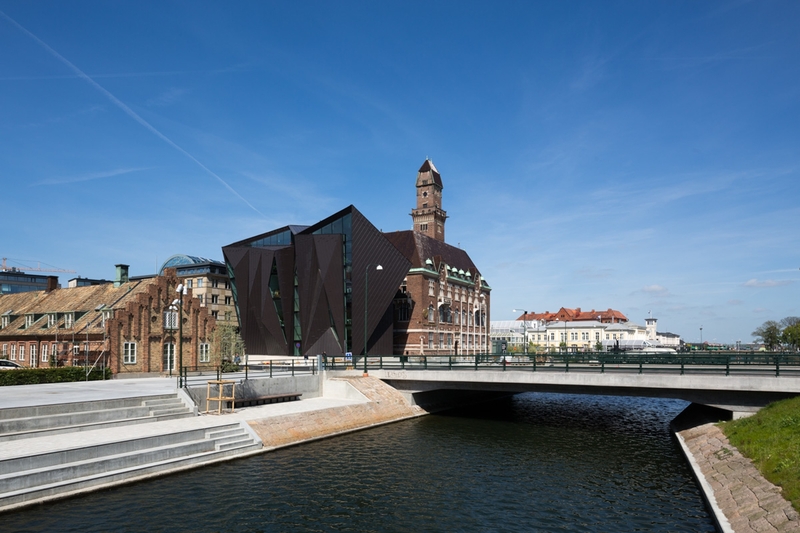 In urban terms the building was conceived as a spatial "hinge” that marked a transition point on the street extending from the old town of Malmo to the harbour area where the building is sited. 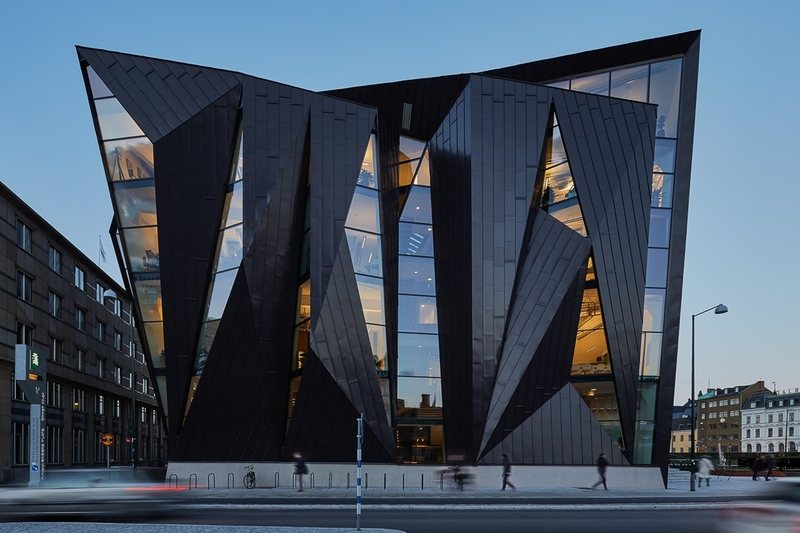 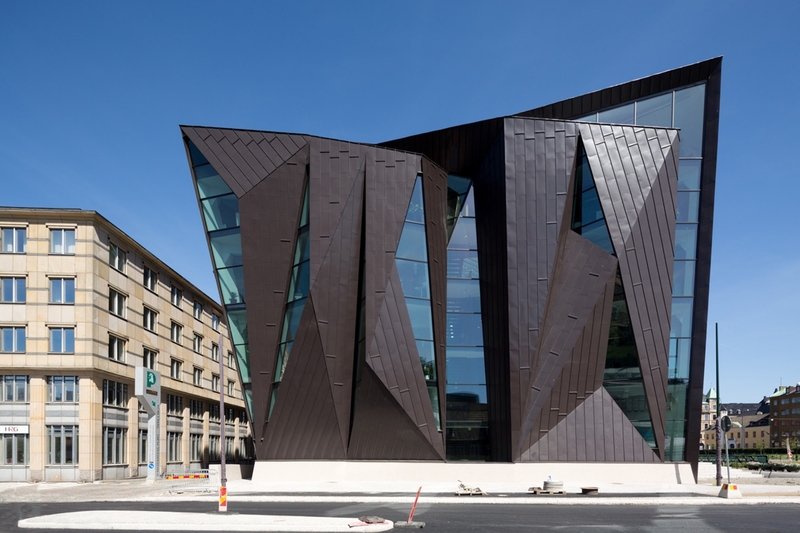 The conception of the building as a “hinge” prompted us to explore a folded plate language for the new building such that it could act as a hinge in the city and also a hinge between itself and the original “Tornhuset”. The form of the project emerged from a fascination with the roof in the original “Tornhuset” which at first glance looks conventional but is an unexpected formal play based in a simple gable logic which is then embellished in response to the precise geometry of the floor plate below. 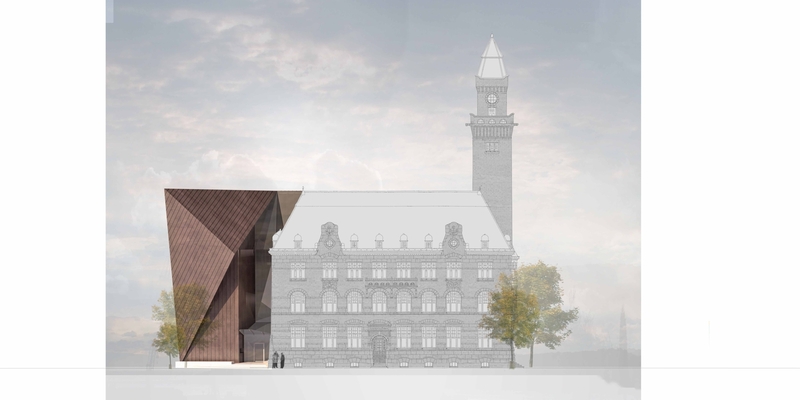 We adopted a similar strategy, laying out a series of formal alignments with the existing building that were elaborated upon in response to the need for views and also light penetration to the spaces within – all while presenting a largely solid form in elevation. 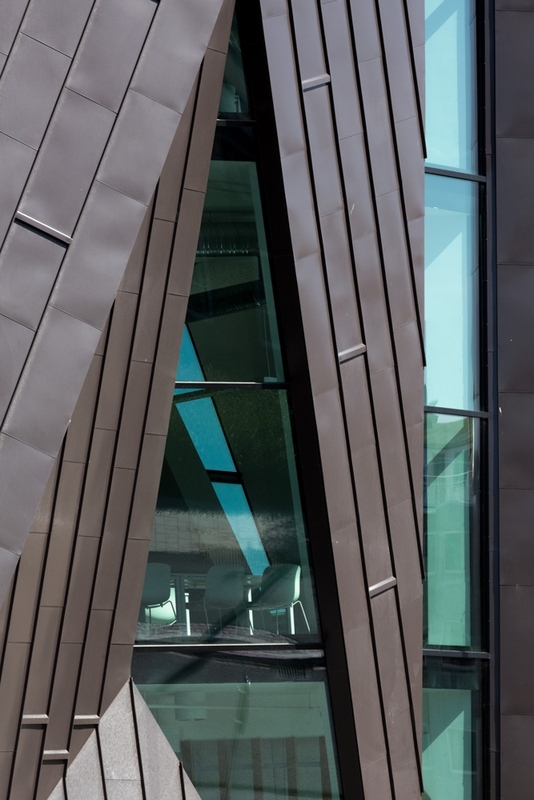 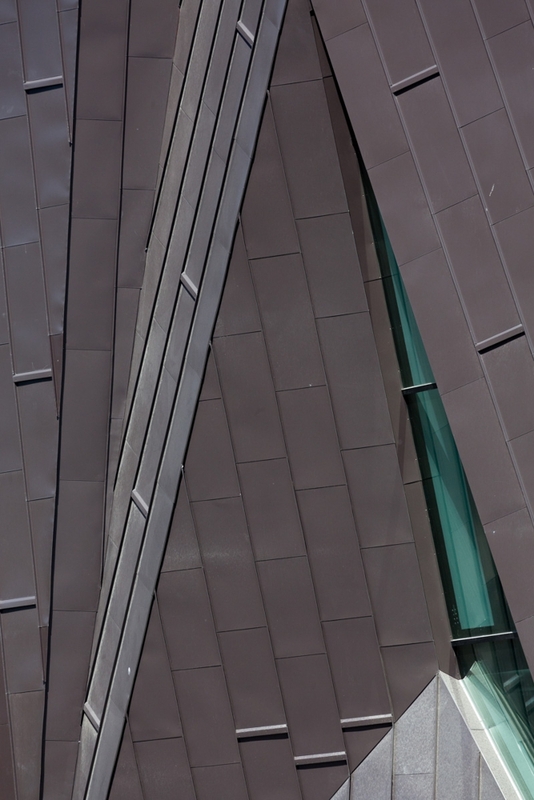 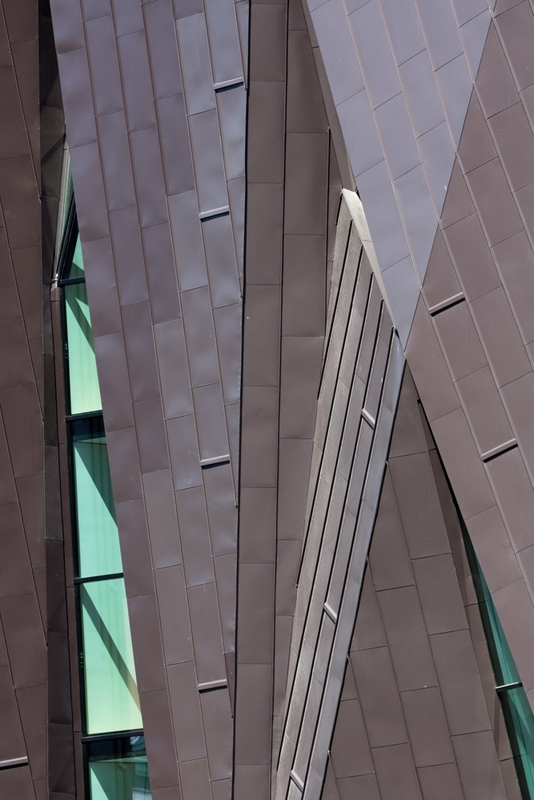 The cladding material is aluminium sheeting, a simile for the painted metal sheet traditionally used in both Swedish and Australian architecture – an unexpected overlap a between the contexts where the two collaborating practices are based. 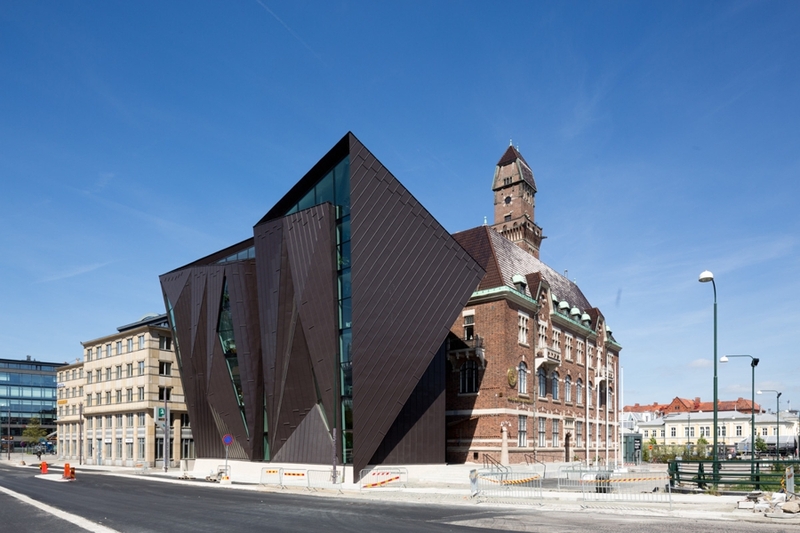 The colour of the roof sheeting is related to the roof of the original Tornhuset. 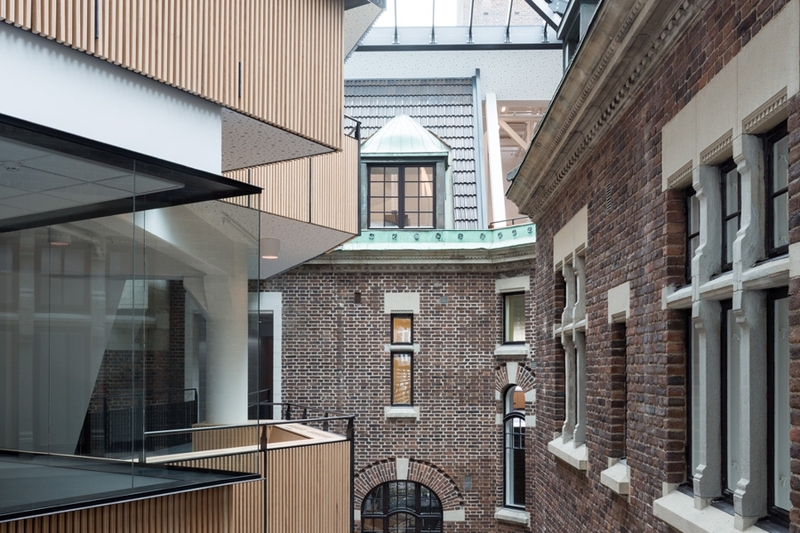 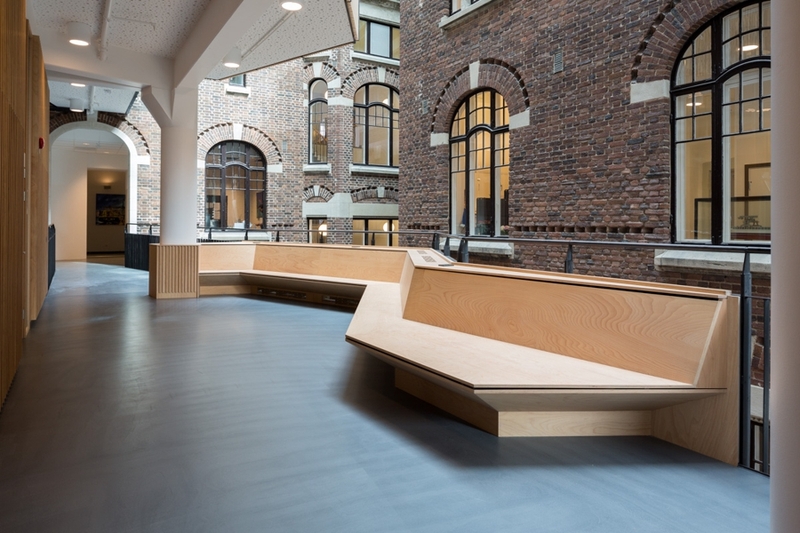 The organisation of the project was based upon a simple programmatic division between the teaching spaces in the new building, administration in the old “Tornhuset”, and socialization spaces in between. 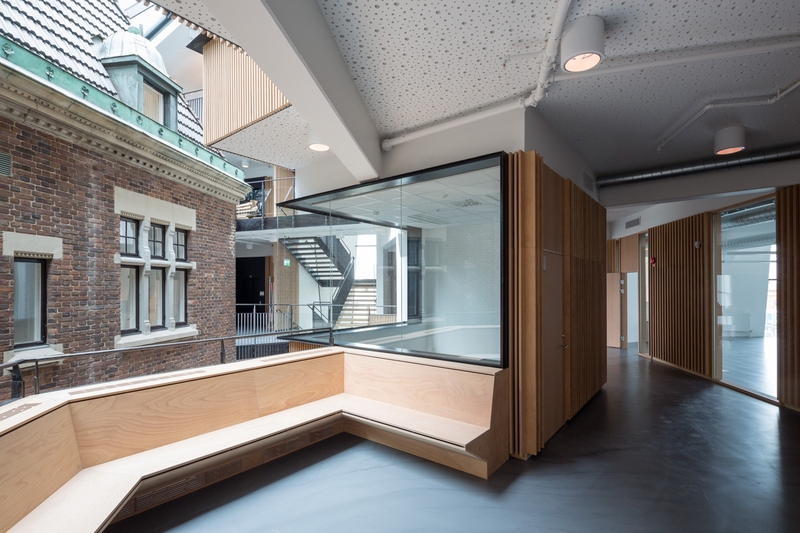 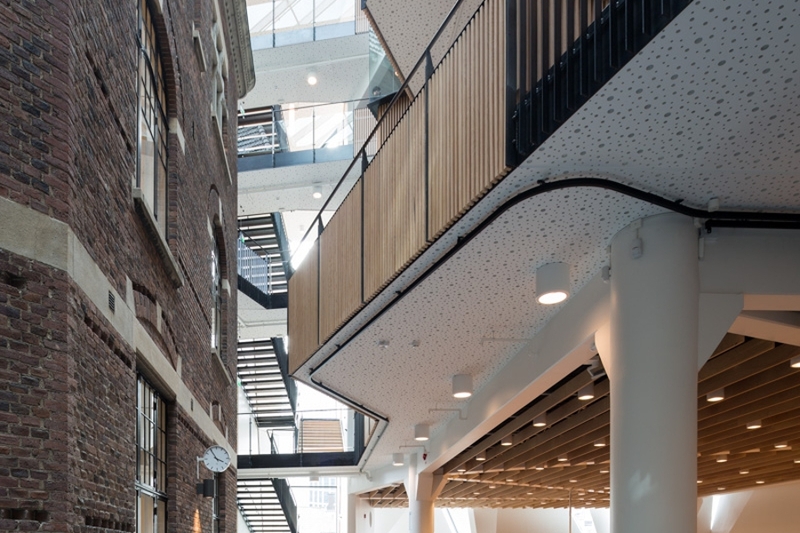 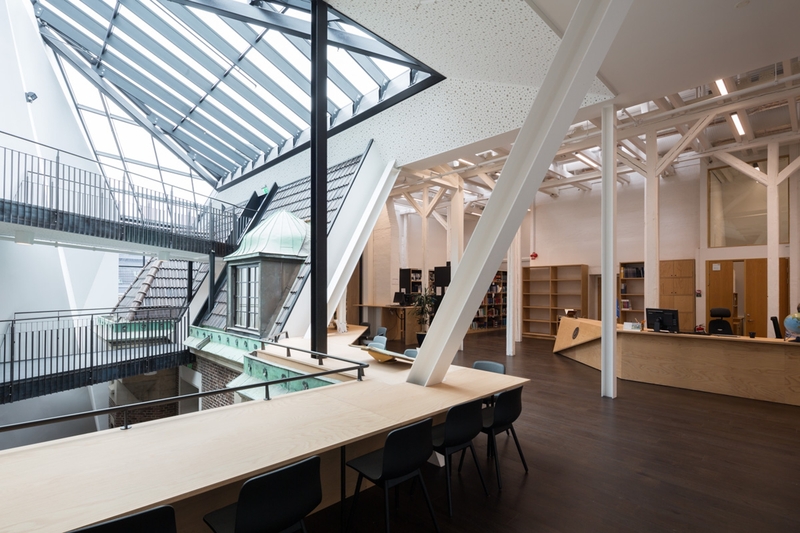 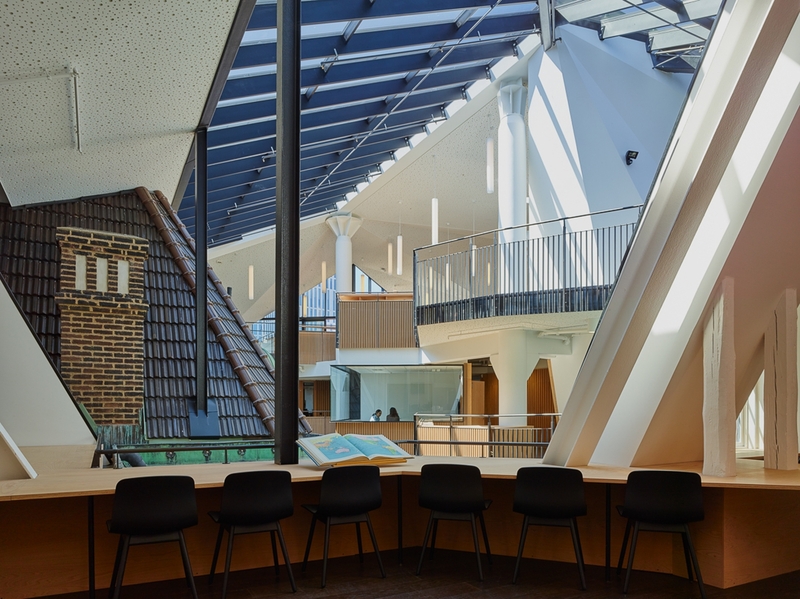 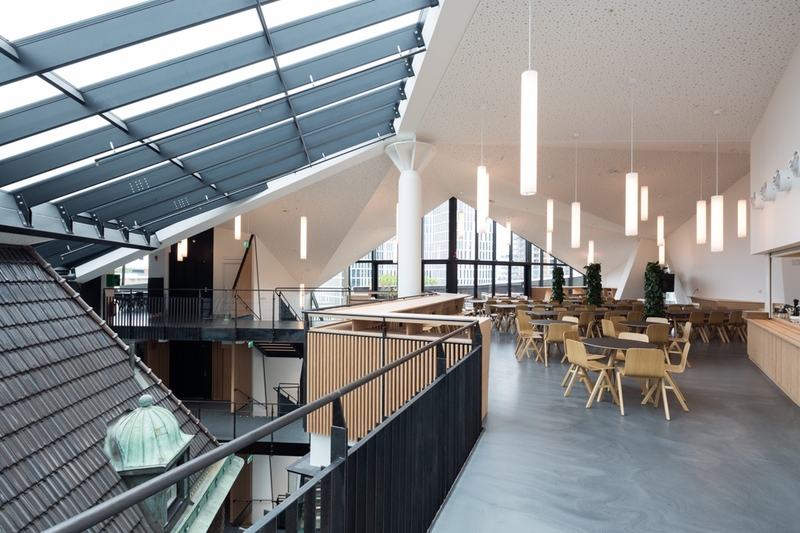 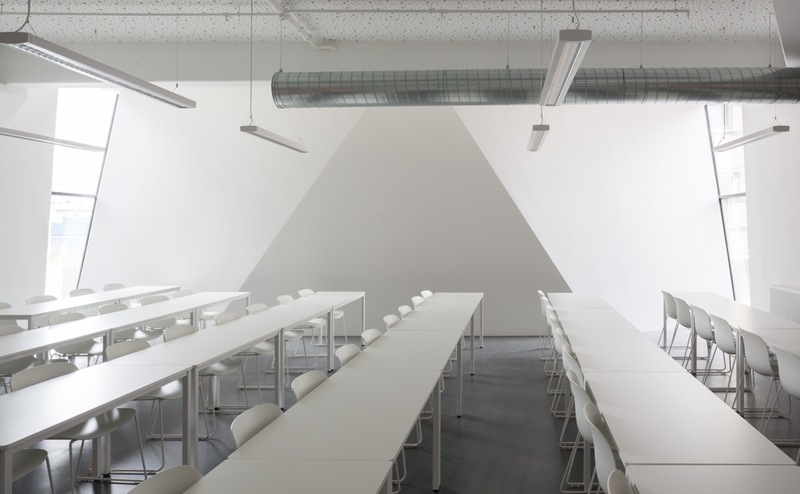 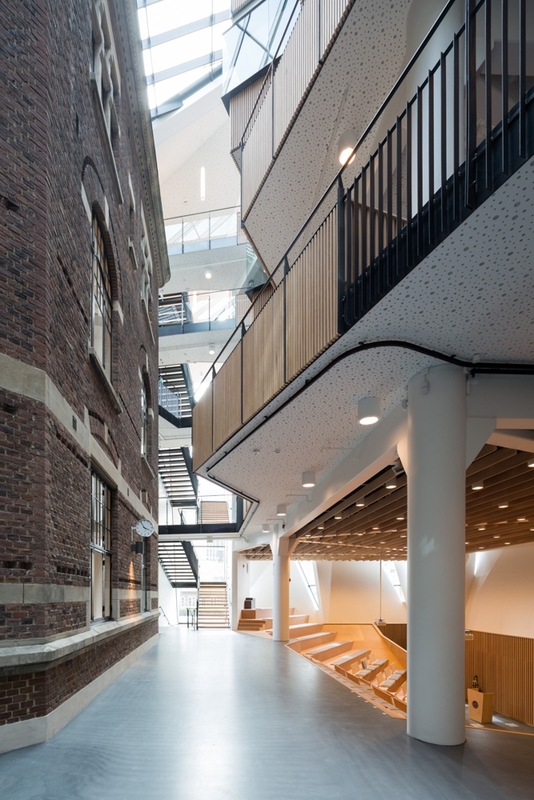 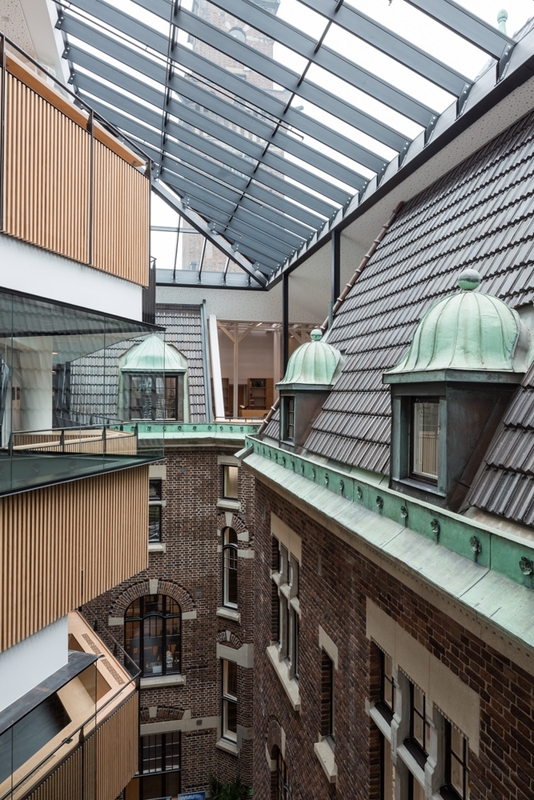 The interior of the building is therefore in three parts – a stack of floors with various classroom and research spaces, the refurbished existing spaces and an occupied space void between the two. 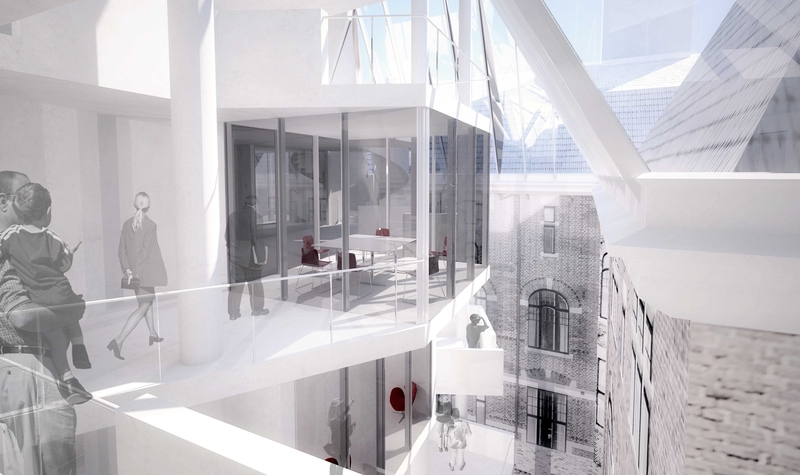 The stack of floors is set back on every level as it rises from the street, to open this void to the maximum extent possible to the sky. 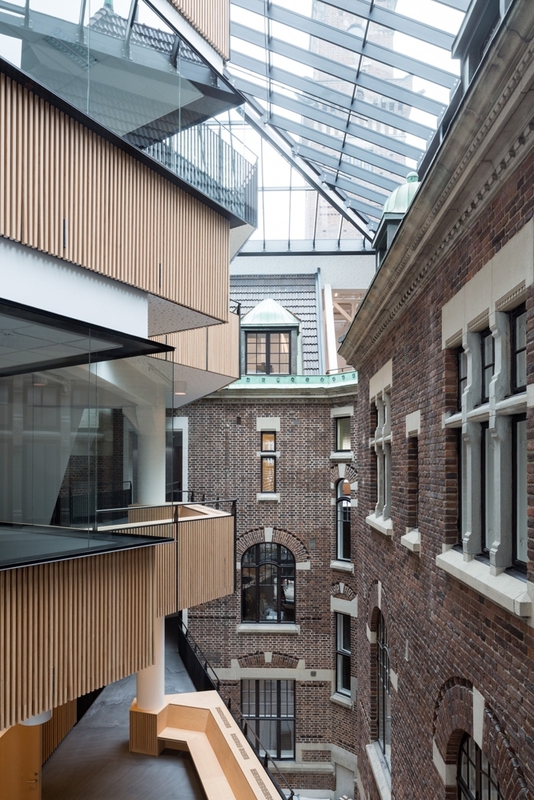 The resulting space is bathed in the beautiful light for which southern Sweden is known. 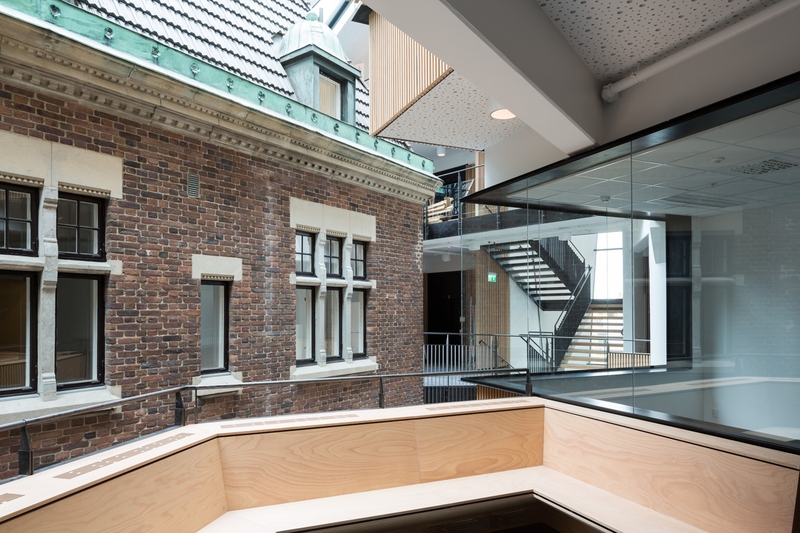 Photographs of completed project by Torben Eskerod with the exception of b/w image by Rodrigo Bernabeau Rodriguez and the twilight images by Mark Syke.